Jenny has been active in athletics her entire life. 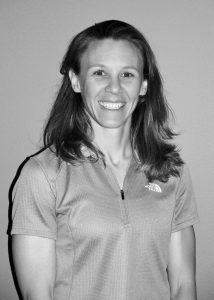 Before adding Pilates instructing to her wide base of knowledge, she received her Bachelor’s Degree in Psychology with a Coaching Minor. That education started a strong belief between the mind and body connection. After competing in Cross Country and Track at the college level, she started her career as a Coach and Fitness Instructor. After 9 years of teaching group fitness and personal training to wide ranges of ages and abilities, she found another way to challenge herself and her clients through Pilates. Her training and certifications from Balance Body® University, has enabled her to teach traditional Pilates Mat and Reformer classes. Since her training, she has put her own touch on things offering classes’ specific to athletes, retirees, and all ranges in-between. Her dedication and enthusiasm bring people back to her classes to learn and improve themselves more.